he view from the highest point in Big Bend Ranch State Park, Oso Mountain, provides a look in all directions of this largest state park in Texas. 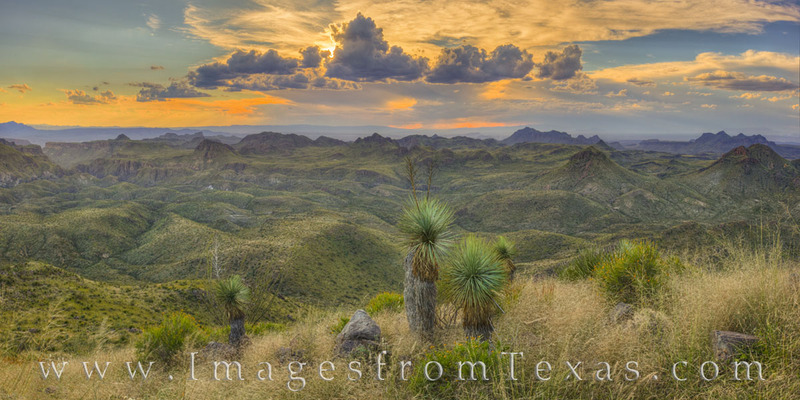 Oso Peak (5,135') sits in the Chihuahuan Desert system. A trail does not exist to this summit, and some difficult bushwhacking and scrambling is required to reach the top. Briars, cacti, and loose rock await, but stunning views are the reward. This panorama was taken on an October evening near sunset.